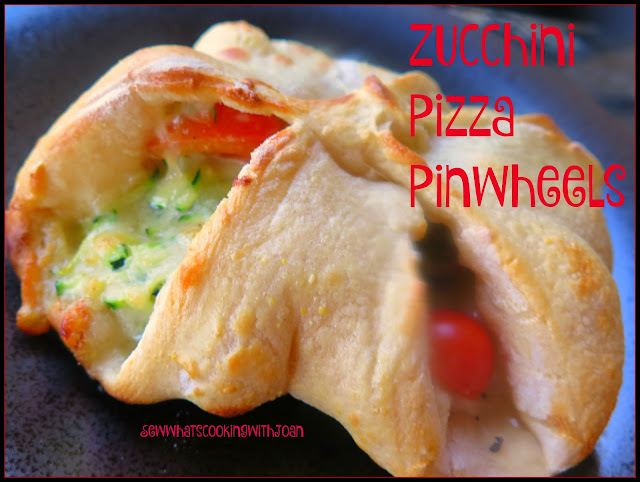 This is a lot like calzone, but with a beautiful presentation, these pizza pinwheels are wonderful starters for parties. Fresh zucchini blends with Spanish cheese and naturally sweet grape tomatoes! Yum! I made these for a "Make your own Pizza Party" at our house! 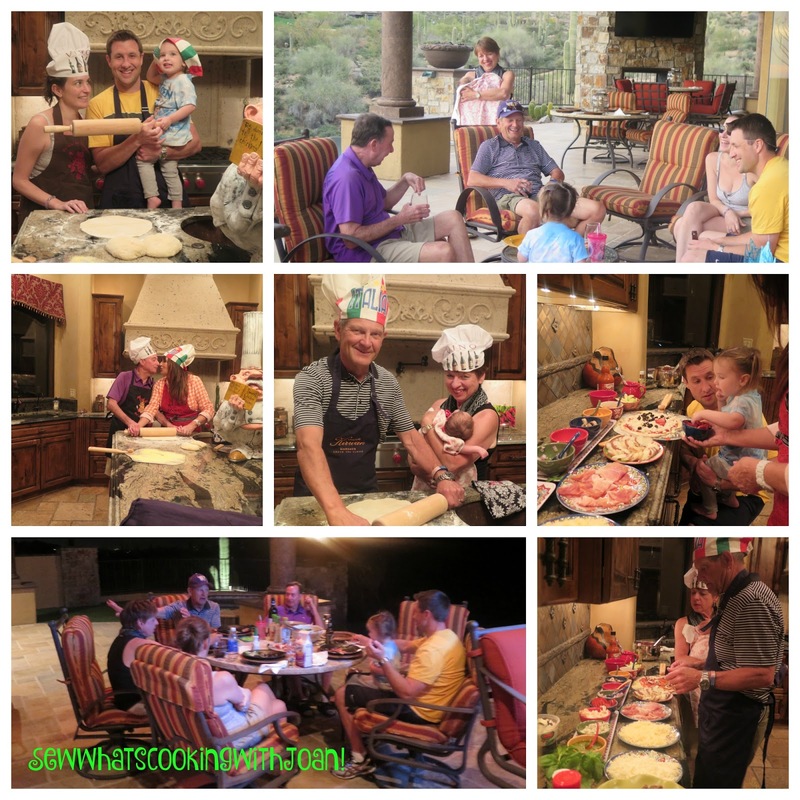 Throwing your own pizza party is an excellent way to get friends together, and working together on stretching and topping pies.I like dinner parties where the guests feel like they are active participants. You can’t do any better than allowing people to chose their own pizza toppings. After cocktails and appetizers, we then had the pizza making! Oh Boy...was it ever fun! 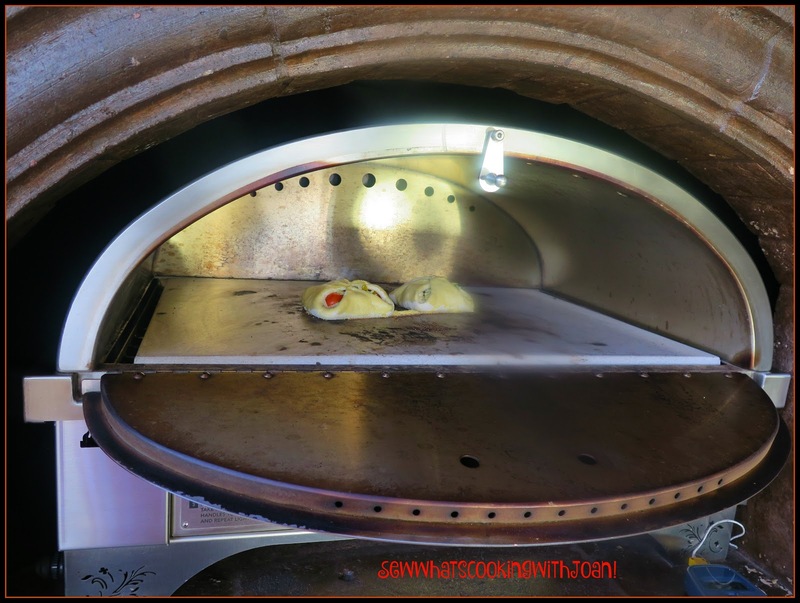 Preheat your pizza oven, a pizza stone on the grill or your oven to 450 F degrees. Spread the shredded zucchini out on a cutting board or baking sheet for about 15 minutes and let it air dry. 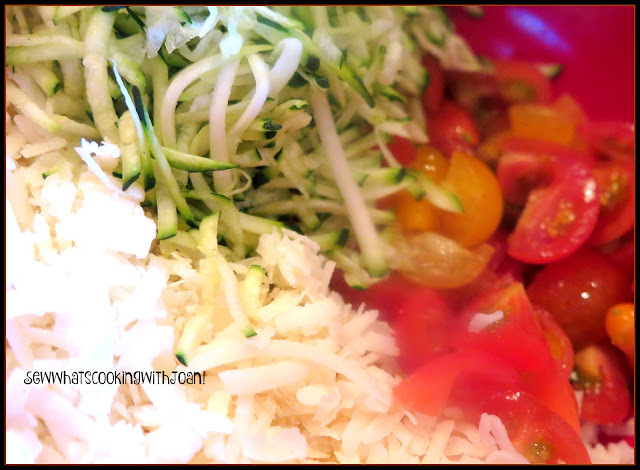 Combine the zucchini the quartered tomatoes, cheese and salt in a bowl. Roll out the pizza dough into a square about 15 inches to a side. 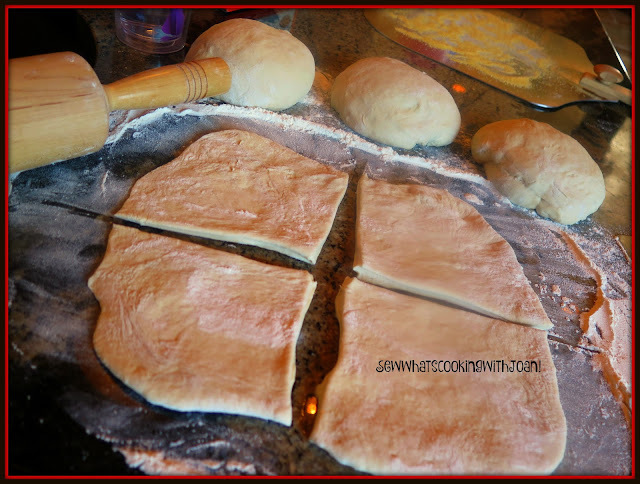 Trim the large dough into four smaller, squares, then roll them even thinner until they reach about 8 inches a side. Start with one square. 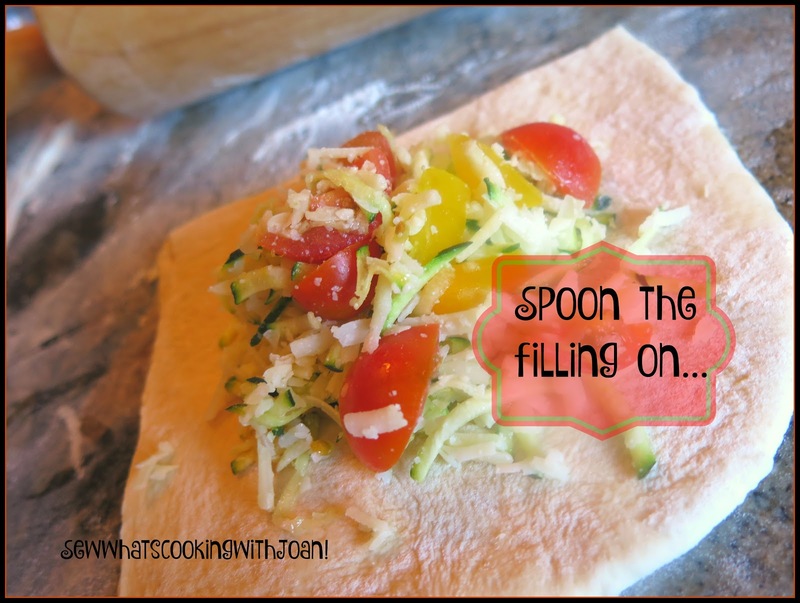 Spoon the filling into the dough in a square shape. Lift two opposing corners to meet in the middle, folding over the filling and firmly press them together between your fingers, repeat with the other two corners. Repeat making a total of four pinwheels. Transfer the pinwheels to the oven and bake until golden brown on top and cooked through, about 15 minutes. Each oven is different, mine took about 5 minutes, at 500F degrees, Kalamazoo Pizza Oven. 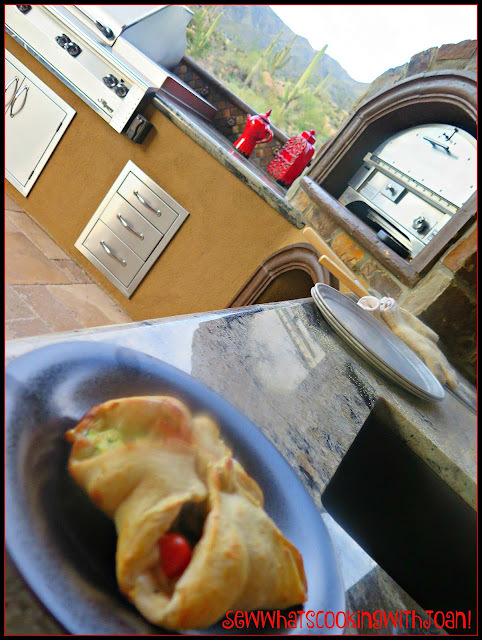 *If you do not have a pizza oven, please go to my past blog on How to bake a pizza on your gas barbeque. Having a make your own pizza party is a lot of fun! However, it entails a lot of preparation on the host/hostess part. 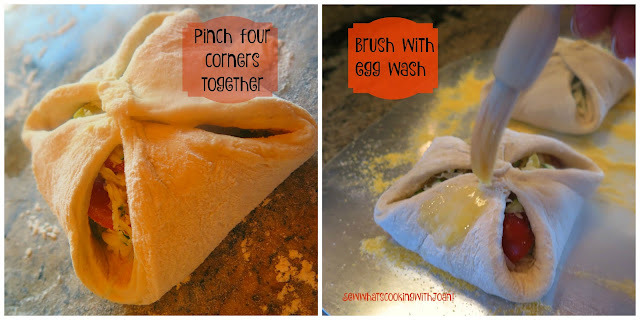 And having guest's roll out their own dough is messy. You may want to roll out the dough for them. 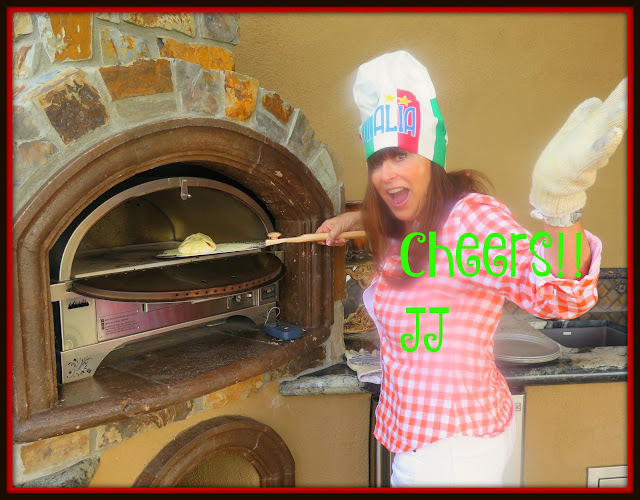 This particular party went off smoothly with no real surprises, however, I have had "make your own pizza" parties where one of the guests thought he could toss his pizza...........need I say more? Everyone enjoys making the pizza, and it is amazing how much creativity goes into their pizza. Guests have come up with some pretty tasty combinations. You just need to think out of your own box, to provide the ingredients. I provide a few choices on pizza sauce as well. *Another fun party idea- "Pizza Smack Down"!! Can you tell we like to party!! 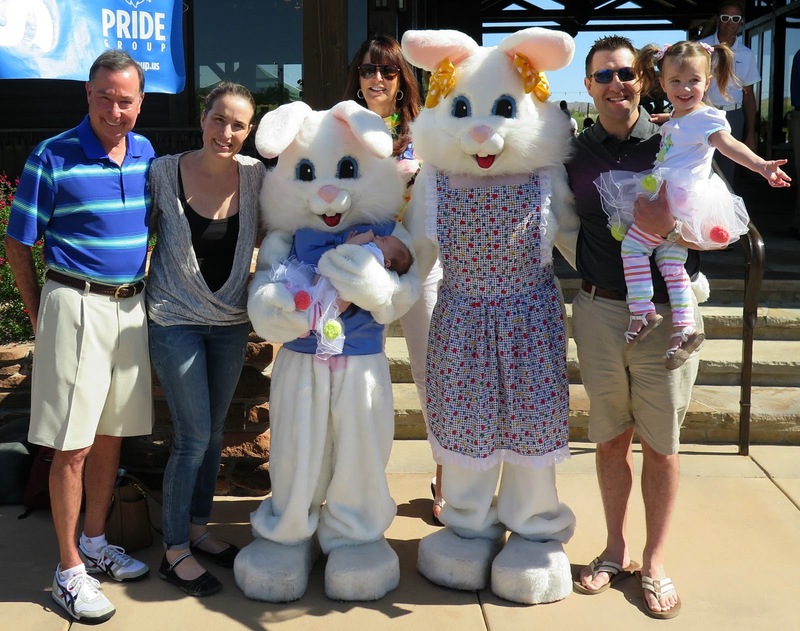 This fun blog will give you a point system and an idea for fun with family and friends! 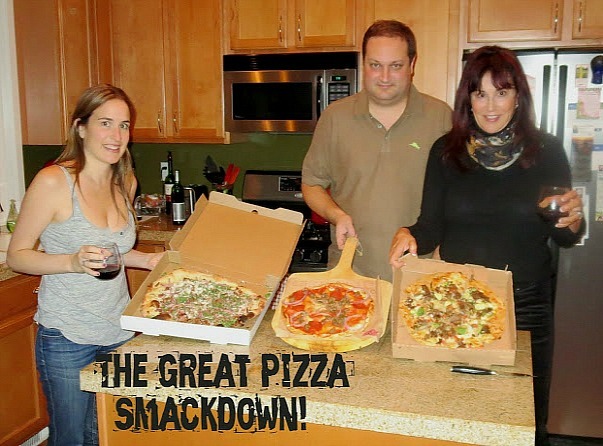 "The Great Pizza Smack Down"! Our Easter was fabulous!! 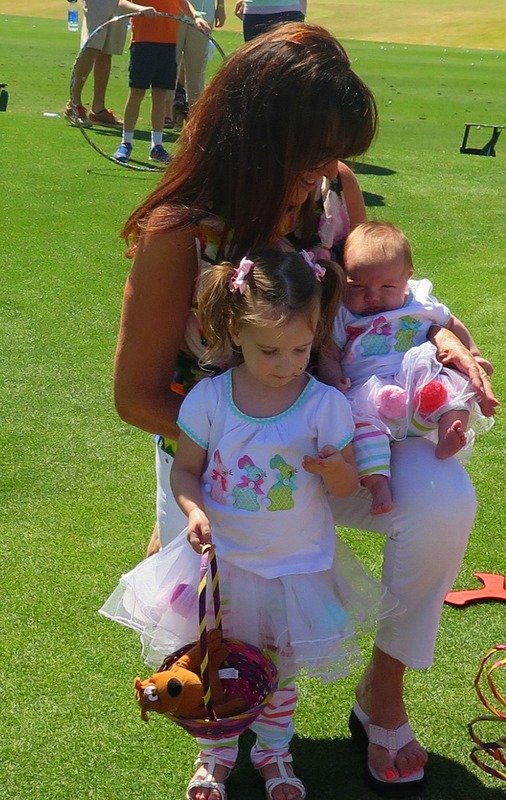 Tink, Nate Dogg and our grand children Madison Lee and Mackenzie May at our club Easter Festival! We made it back from our island paradise in time to enjoy Easter with our family(at least part of our large family)! Mackenzie May 2 months old and Madison Lee 2 1/2 years old!